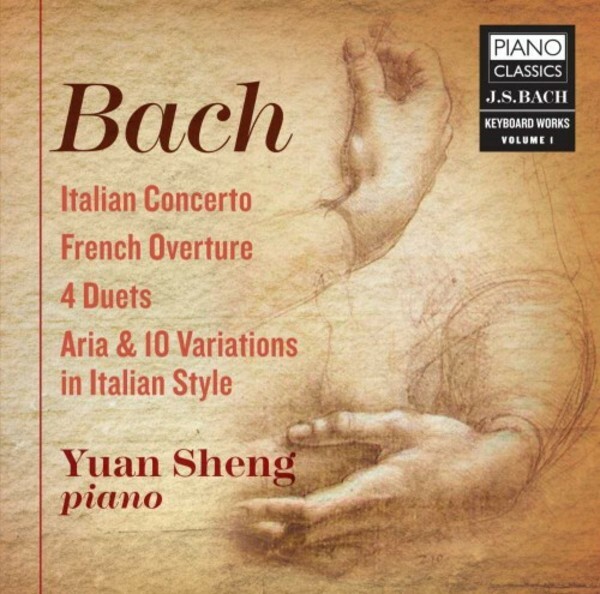 The second album in Yuan Sheng’s complete survey of J S Bach’s keyboard works brings together two major masterpieces - the much loved Italian Concerto and the substantial French overture, one of the most monumental and deeply searching Suites by Bach, in the tragic key of B minor. As a complement, Sheng presents the 4 Duets and the delightful Aria and 10 variations in Italian Style. Yuan Sheng is one of the foremost pianists from China, and his international career brings him to all continents. Equally at home on period instruments and the modern piano, he has a keen ear for style. His Chopin 3CD set (PCL0049) for Piano Classics received excellent reviews, as did his Goldberg Variations (PCL0042): “Unfailing intuition for the right balance..fascinating” (Piano News), “Every nuance filled with colour and expression” (The Classical Music Guide), “models of clarity, balance and proportions” (New York Times).